Not long after my marriage, I didn’t go to work because I was pregnant. In daytime, my husband went to work, and my parents-in-law were busy with farm work, while I could only stay home boringly. Sometimes I watched TV or did some housework, but most times, I had nothing to do. Consequently, I felt so fed up that I expected that my husband could return home early after his work to chat with me. However, when he came off work, he directly went out to play mahjong after the meal. It wasn’t until midnight that he came back. For this reason, I felt so suppressed. Every time when he arrived home, I got at him. At that moment, what he said was well and he promised that he would no longer come back home too late. Yet he still did as before. Seeing he was never obedient to me, I thought: We just got married not long ago but you treat me like this. Now what I say doesn’t work. There’s still a long way ahead of us. Won’t you take notice of me at all in the future? No, I must come up with a plan to make you quietly obey me. 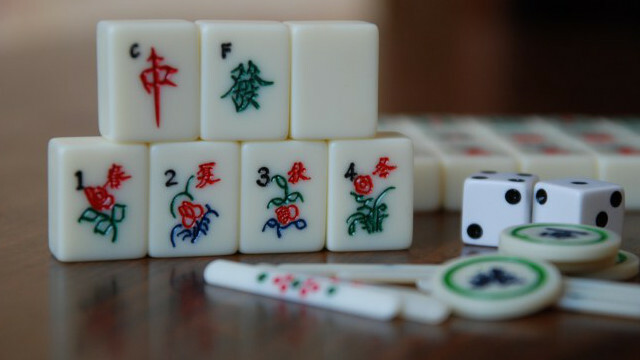 One night, seeing my husband return so late, I said to him angrily: “I’m not asking that you don’t play mahjong. But can you spend less time on it? If you go on like this, then I’ll be done with this marriage. Tomorrow I’m going back to my parent’s place.” Seeing I was really angry, he quickly made an apology. But I didn’t accept his apology for I decided to have it in for him. The next morning, I didn’t have breakfast and went back to my parents’ house. At night, my husband went to pick me up after his work. He said: “This time I’ve truly known I was wrong. I won’t go home so late any more. Please go back with me.” Hearing his repentance and considering our parents’ concern about us, I went home with him. I thought he would not play mahjong too late after this experience. However, he just kept the promise for several days. Wherefore, I often quarreled with him, with tears running down my face. I beat him and kicked up a ruckus. Both the carrot and the stick were used, but all of these were still in vain. We went through several years of quarrel in that way. During the several years, I was in agony on the inside. I did not know when such a life would end and why he did not listen to me. Just when our marriage was about to break down, God’s salvation came to my husband and me. I saw that God’s words say: “Adam and Eve created by God in the beginning were holy people, which is to say, whilst in the Garden of Eden they were holy, untainted with filth. They were also faithful to Jehovah, and knew nothing of the betrayal of Jehovah. This is because they were without the disturbance of the influence of Satan, were without Satan’s poison, and were the purest of all mankind. They lived in the Garden of Eden, undefiled by any filth, unpossessed by the flesh, and in reverence of Jehovah. Later, when they were tempted by Satan, they had the poison of the serpent, and the desire to betray Jehovah, and they lived under the influence of Satan. In the beginning, they were holy and revered Jehovah; only like this were they human. Later on, after they were tempted by Satan, they ate the fruit of the tree of the knowledge of good and evil, and lived under the influence of Satan. They were gradually corrupted by Satan, and lost the original image of man” (“The Experiences of Peter: His Knowledge of Chastisement and Judgment”). From God’s words I knew: Adam and Eve created by God in the beginning had no corrupt disposition and worshiped God. Later, after being tempted and corrupted by Satan, they began to have various corrupt satanic dispositions. Furthermore, today, our corrupt satanic dispositions have become more and more serious, and we humans don’t have any likeness of the man created by God in the beginning. Through a period of fellowshiping about God’s words at the meetings, I knew that God’s work during the last days is to express the truth, judge, chastise and purify the deeply corrupt mankind, in order that we, through reading and practicing God’s word, can shed the satanic corrupt disposition, live out the manner of a true person, be taken into the kingdom and regain the life that Adam and Eve lived. This is also God’s original intention in creating man. In addition, I realized: That I quarreled with my husband in the past is because I have an arrogant corrupt satanic disposition, and want to take charge of him and let him listen to me. Only by reading God’s words more and practicing God’s words can I achieve a transformation and then escape from these sufferings. After knowing these things, I practiced forsaking my corrupt satanic dispositions consciously by eating and drinking God’s words so that I wouldn’t live such a hard life any more. But because I am deeply corrupted by Satan and there are deep-rooted Satan’s poisons from inside of me, it is not easy for me to change. To purify and change me, God arranged a real environment for me. After believing in God, my husband wanted to read God’s words more and didn’t want to play mahjong any longer. However, when he just got off work and his mahjong friends frequently called him to play, he could not resist the allure, and went to play again for the sake of saving face. Because I didn’t have a knowledge of God’s work, I still wanted to change him in my ways, even giving him an ultimatum: Don’t come back home if you don’t get home before 9:00 p.m. I also told him: “Playing mahjong is a kind of worldly trend. We, believers in God, shouldn’t follow it….” However, no matter what I said and did, all of that was still in vain. In agony, I told my brothers and sisters these difficulties during a gathering. Then a sister let me read a passage in the Fellowship and Preaching: “In the past, God summarized the corrupted nature of man in four words, arrogance, conceit, self-importance, and self-righteousness. This is a summary of the nature of Satan, and it is the exact image of Satan. … If you are wildly arrogant, then you will certainly regard yourself as all important; if you are wildly arrogant, then you are certainly irrational and will not listen to reason; if you are wildly arrogant, then it is certainly difficult for you to obey any person, and it is even harder for you to obey all of God’s work and God incarnate; if you are wildly arrogant, then you are unable to accept the real factual situation, and you are unable to accept the truth; … Since the wildly arrogant man is puffed up with conceit and looks down his nose at others, he is not friendly to others and is unable to treat others as equals, and he can never live in harmony with other people.” It turned out that I was dominated by my own arrogant satanic nature, and always wanted to cultivate my status before my husband and to make him obey me and revolve around me. If he didn’t obey me, then I would try every way and use both carrot and stick to discipline him, such as crying, quarreling and going to my parents’ house; even I didn’t allow him to enter our house if he returned late. All I did was to make him listen to me and know my power, so that he didn’t dare to play mahjong next time. When my ambitions and desire could not be achieved, I would feel pain. It was entirely the harm and bonds of the corrupt satanic disposition. Hearing the sister’s fellowship, I had a knowledge of God’s good intention in saving me. He permitted such an environment to come upon me in order to change my corrupt satanic dispositions and allow me to know God’s almightiness and sovereignty through the experience. God’s authority is supreme. Only God can transform and purify us man. I should read more of God’s words, rely on God and look up to God with my husband to seek a change in our dispositions, which is after God’s heart.